This Spring, the team at Posture has been fortunate enough to have not one, but TWO interns helping us out with projects while gaining real-world agency experience. This week, we’d like to put the spotlight on our marketing & SEO intern, Justin Moldovanyi. 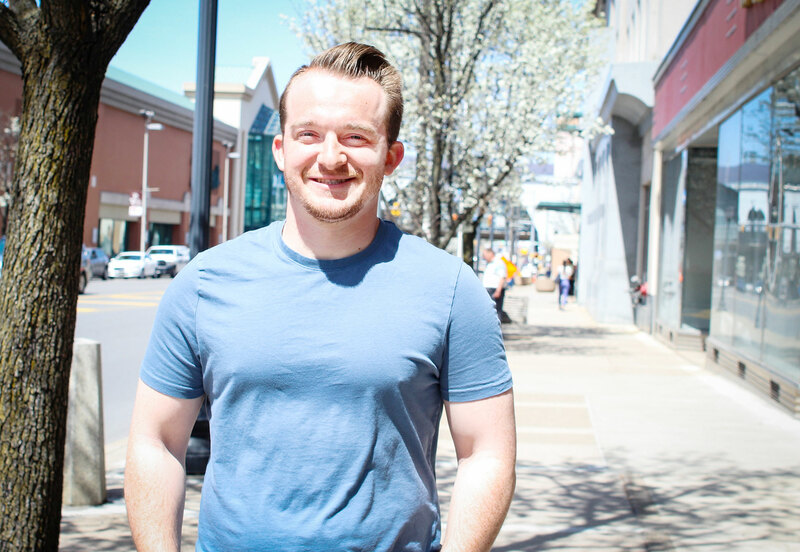 He comes to us from just a few blocks away at the University of Scranton, where he is pursuing his B.S. in Marketing. Where are you originally from, Justin? What inspired you to study Marketing and Advertising? I actually started my college career as an exercise science major, but after one semester I knew it was not the right major for me. The following semester I switched to business and by the 3rd semester I took my first marketing class and loved it. From there I have enjoyed every marketing class I have had. There is so much opportunity and creativity in marketing and I would love to work in sports marketing. What’s your favorite thing so far about going to school and working in Scranton? My favorite part about Scranton is definitely the people. I have made so many friends at the University and everyone there is so friendly and willing to help out. What is the most interesting project/client you’ve worked on at Posture Interactive? I would have to say the first client I worked with, Fit AF Nutrition. This was definitely the most fun and involved client I got to work with. I was tasked with helping to layout some of the internal pages for the new website, creating email marketing templates, filling in content, and optimizing the SEO content for the website and products. What is the biggest piece of advice or working skill you’ll take with you from your intern experience here? I would say just being in an agency environment working with professionals and gaining real world experience because you do not get this in the classroom. What is your ideal marketing project or client to work on? Anything in the sports industry. I am a big sports fan and have played sports all my life so working within that industry would play to my strengths. How do you feel so far about worshipping “The Google” when it comes to content and SEO? Google is an extremely powerful tool and it has been fun learning about all of the ways businesses can harness its powers. SEO is one of those tools. I enjoyed learning about SEO and getting real life experience. We hear you’re quite the ultimate Frisbee MVP with the University of Scranton team. How’s the season going right now? This season has been great! We have won 2 tournaments and advanced to regionals. This was the first time in our teams history that we made it to regionals so I would say it has been an exciting season. What’s your favorite Scranton hangout/restaurant/bar you’ve discovered in your 4 years here? This is a tough one because there are a lot of good places to eat and drink in Scranton. I would say my favorite restaurant is Bar Pazzo and my favorite bar is Backyard Ale House. Those are definitely some Posture favorites, too! Finally – do you find Doug more annoying or less annoying now than when you started working here? I actually never found Doug to be annoying. I enjoyed working with him and learned a lot from him. Next: What’s on the grill at Posture?